Warning 1. 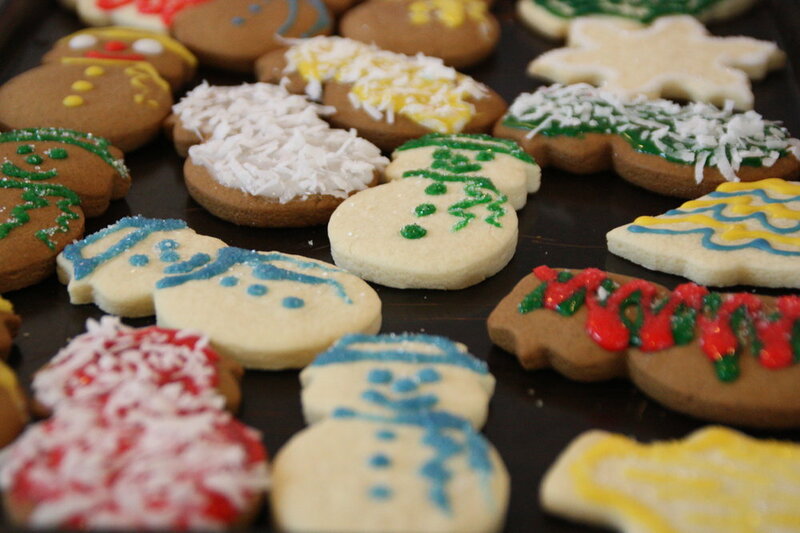 The following post contains Christmas cookies. You may be worn out on Christmas...or sugar...or Santa, but before you claim that this post is 3 weeks too late or 49 weeks too early, let me remind you that sugar cookies can be shaped and decorated and enjoyed all year round! These are Christmas sugar cookies, but the recipe and decorating tips could be used for Valentine's Day, St. Patrick's Day, Easter, July Fourth, etc. So without further ado...I present to you, these decorate-able sugar cookies. Warning 2. Some ginger bread cookies snuck into some pictures. I'm not going to give you their recipe today. Unless you really really really want it. Notes: According to my mom, the key to making sugar cookies that keep their shape and don't spread out is to omit the baking powder. This recipe usually has baking powder, but if you're going to roll them out and cut them into shapes, I recommend leaving it out. Also, all the chilling of the dough may seem excessive, but don't skip it! It makes the dough more manageable and helps the cookies keep their shape. Beat butter and sugar on medium until pale and fluffy (about 3 minutes). Add eggs and vanilla and reduce speed to low. Add it flour mixture slowly. Divide dough in half; flatten into disks and wrap in plastic. Refrigerate the dough at least 1 hour. It can be refrigerated overnight, too. Soften a disk of dough and roll out until it is 1/4 inch thick. Chill the rolled out dough for about 30 minutes and then cut the cookies. Chill the cut out cookies in the freezer for 15 minutes. Bake for 15-18 minutes, or until the edges are golden. 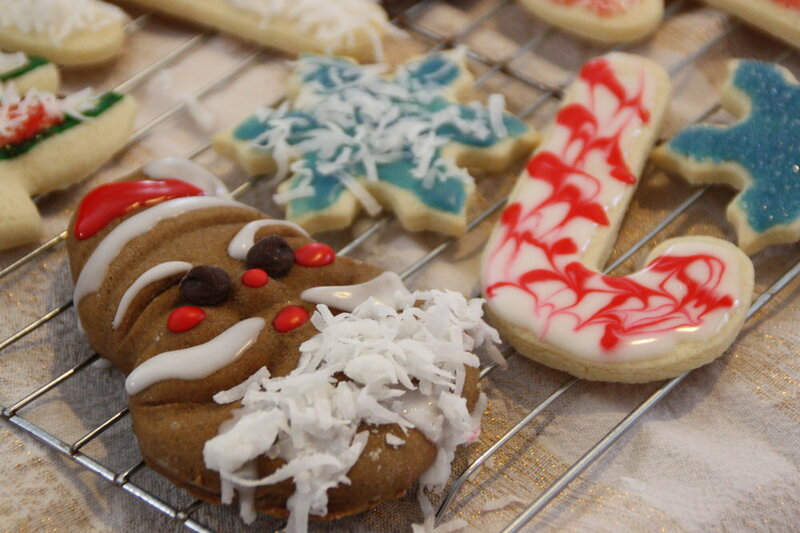 To decorate the cookies, you'll need some Royal Icing (recipe below) and some squeeze bottles. Squeeze bottles can be purchased at craft stores or specialty food stores or like everything else on the internet.